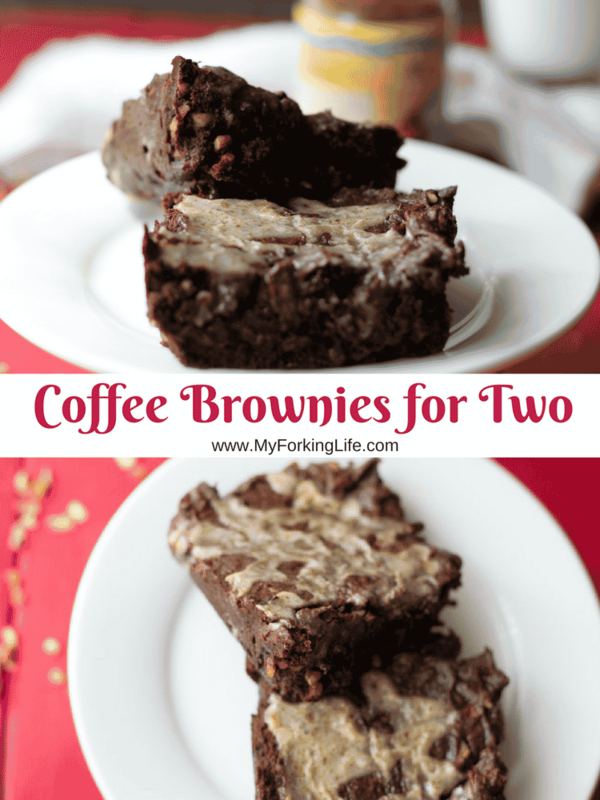 These Coffee Brownies for two are the perfect treat for you and that special someone. Even if that special someone is yourself and you want to eat it all by yourself. I’m a big fan of coffee and a big fan of brownies…it just seemed appropriate that the two would meet in my kitchen. Hence, the creation of these coffee brownies for two. Why just for two you may ask? I’m a big fan of small batch desserts. 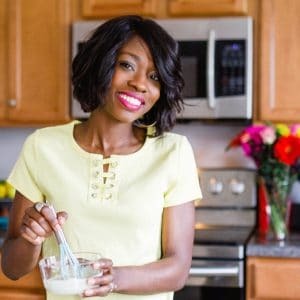 Now I will make a big batch of cookies, brownies, cakes, and pies if my spirit moves me…but most of the time, I want a quick dessert that I can mix in a small bowl and pop in the oven. These coffee brownies are enough for me and hubby. But in all honesty, I usually like to eat them all myself. Call me greedy, I don’t mind. So enough about my love of all things small when it comes to dessert, how about these brownies! These are a breeze to make and come together with minimal ingredients and effort. Here are all the ingredients you will need for this recipe. Check out this short video for a recipe illustration I did. All by myself. I’m so proud, hehe. Recipe and notes below. This recipe creates a brownie that is closer to the fudgy side of brownies. During my trial and error phase, I found that stirring the cocoa powder in melted butter made a cake like brownie. 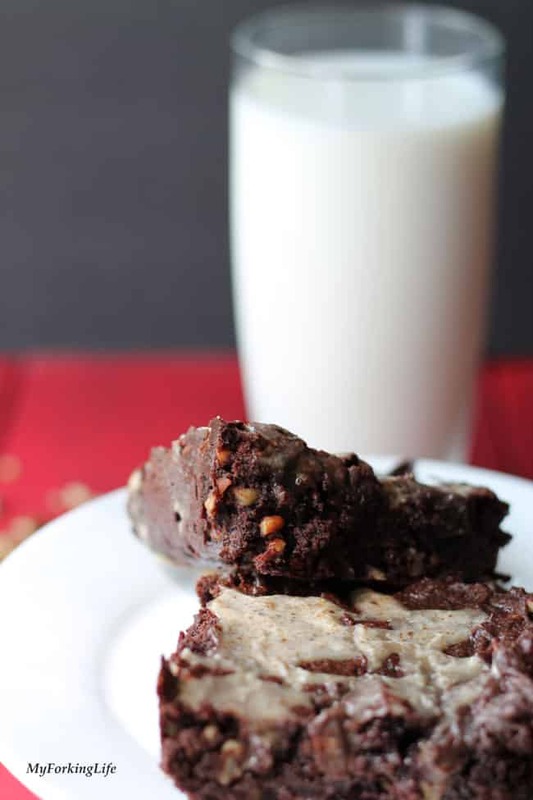 If you like yours fudgy like me, then this recipe is for you. 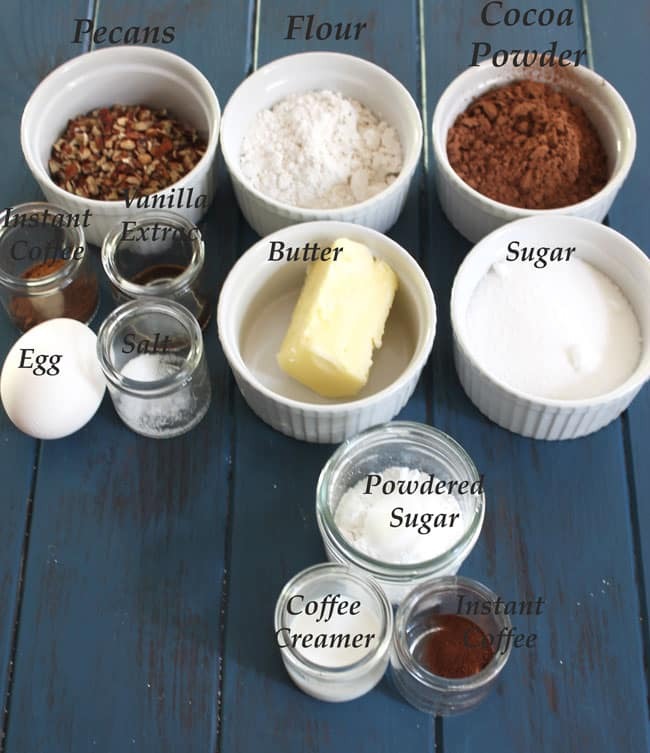 Under bake your brownies and you will have the best brownies ever!!!! So don’t try the whole sticking a toothpick and waiting until it’s clean method. You brownies should be done at about 30 minutes. Allow the brownies to cool before spreading the glaze and enjoying. The batter will be thick when stirring (see my video for illustration) and it may freak you out. I freaked out the first time. No worries, stir until combined and scrape it in the pan. Your brownies will be moist and fudgy. Pecans are optional but like seriously, you should keep them. Parchment paper is your friend. use it for easy clean up and removal of brownies. Feel free to experiment with coffee topping flavors…I used Hazelnut because it’s what we had and I like Hazelnut and chocolate. Next time I think I’ll try mint flavor for the Holidays. Combine flour, cocoa powder, salt, instant coffee, granulated sugar in a bowl and set aside. Whisk butter and egg in a separate bowl. Add vanilla extract. Add butter mixture to dry ingredient an stir until combined. Add pecans and stir until incorporated. Scrape into small loaf pan and spread evenly. Place in oven and bake for 30-35 minutes. Remove from oven and allow to cool. I love the pecans in here instead of using walnuts! Me too! 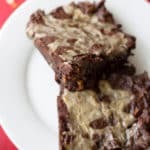 Pecans + brownies = perfection! Looks wonderful and great video too.